Lamborghini earns a haul of titles in US and Asia. 2018 IMSA GTD Driver, Team and Manufacturer Championships at Road Atlanta (USA), and 2018 Blancpain GT Series Overall, Silver, ProAM and Team Championships in Ningbo (China). In the IMSA WeatherTech SportsCar Championship, the best was saved for last, as the championship of the GT Daytona (GTD) class for 2018 came down to Saturday’s final race of the season – the Petit Le Mans. At the end of the gruelling 10-hour race, the Paul Miller Lamborghini skilfully piloted by Bryan Sellers, Madison Snow and endurance teammate Corey Lewis accomplished what they set out to do – take home the first-ever IMSA championship for their team owner and Lamborghini. The trio piloted their Huracán GT3 to a third-place finish and that was good enough to finish the season with a four-point advantage at the end of all11 races. The championship title was a first for Paul Miller Racing after the team had come close to winning the title hunt on several previous occasions, having finished in the top three, three times in the last four years. Taking the GTD Championship titles is a first for all involved – the two drivers, the manufacturer and the team. 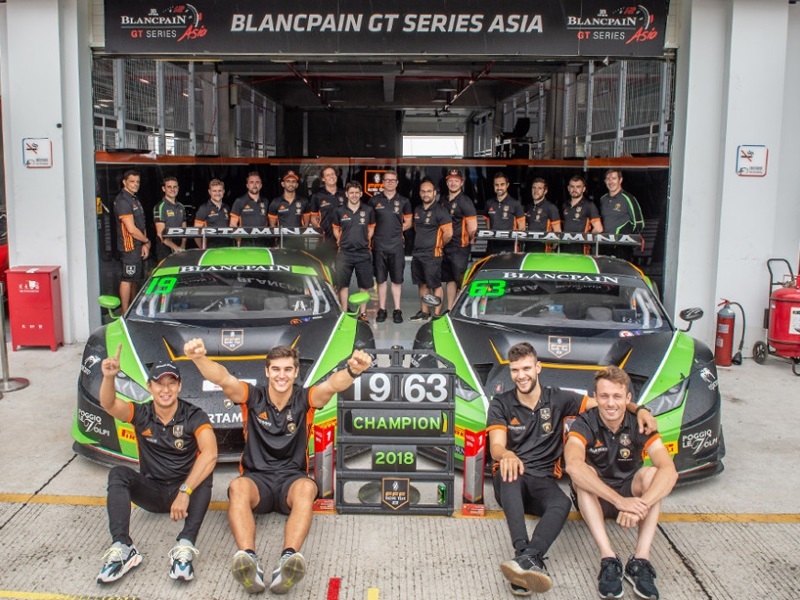 Meanwhile, on the other side of the World, FFF Racing Team by ACM and Lamborghini capped a memorable Blancpain GT Series Asia campaign at Ningbo by wrapping up four GT3 titles. A stunning third victory of 2018 was more than enough for Dennis Lind and Martin Kodric to claim the Overall and Silver Cup crowns, while the Pro/Am success of Hiroshi Hamaguchi and Marco Mapelli also helped the Chinese squad celebrate the Teams’ title. During the current season Lind and Kodric scored three victories and three podiums: both drivers having grown up within in the Lamborghini Squadra Corse GT3 Junior Program. Stefano Domenicali, Chairman & Chief Executive Officer di Automobili Lamborghini, declared: “Those results demonstrate the commitment of women and men involved in the Lamborghini motorsport program. And the quality of our car. I’m very happy about those results and I want to congratulate the teams and the drivers. Over the horizon we look forward to new challenges with the new Huracán GT3 EVO”. Giorgio Sanna, Head of Lamborghini Motorsport, said: “It has been an historic moment for Lamborghini Squadra Corse and Huracán GT3. Winning in Asia and USA, after the successes in Daytona 24 Hours and Sebring 12 Hours earlier this year, brings the real dimension of what we achieved. I want to thank all the people who have contributed in this great work”.